“My first crush.” Those words were said all over the world Tuesday afternoon, Nov. 21. David Cassidy, “Keith Partridge,” recording artist, and teen idol is dead at 67 years of age. Hospitalized with organ failure and placed in a medically induced coma, his official cause of death likely to be “natural causes.” Cassidy went public just last year with his dementia diagnosis. He is also known to have suffered for quite some time with painful arthritis. A pretty boy in every popular sense of the word, Cassidy’s singing and mane of shaggy, dark hair, made him nearly every girl’s favorite. The 1970s magazines Tiger Beat, Seventeen, and Jackie populated the magazine racks. Cassidy appeared on the cover of them all, in support of his career and TV show, “The Partridge Family.” The magazines flew off the shelf, and Cassidy’s smiling face usually ended up on someone’s bedroom wall, gazed at dreamily before slumber overtook the young fan. Many of David Cassidy’s fans thought he was a surfer dude, but the truth was quite different. A New Jersey boy, he was in a show business family. The acting/directing/producing family unit included his father, Tony Award-winning actor Jack Cassidy, stepmom Shirley Jones, and half-brother Shaun Cassidy. When approached to portray Keith Partridge, Cassidy quickly accepted. The show, depicting a highly-sanitized picture of life on the road for a band, included Shirley Jones. In fact, Cassidy and Ms. Jones were the only actors who actually sang the Partridge’s songs on the show. The other actors, some of them tone-deaf according to reports from E! Entertainment, lip-synched the numbers. The show, loosely based on The Cowsill family of performers, was to last five seasons. Chafing under the squeaky-clean Keith Partridge mantle, Cassidy spread his wings during breaks from the shooting schedule. Touring around the country, he performed with a harder edge than he was allowed to depict on The Partridge Family. Even so, his dissatisfaction with the hit series was a turning point and a major reason for the show’s demise. In the decades to follow, Cassidy continued to tour. At later shows, Cassidy was known for participating in question and answer sessions. He also played the manager of Aaron Carter’s character in the 2005 film “Popstar.” In one of his final starring roles, he joined half-brother Patrick in “Ruby and the Rockits.” Half-brother Shaun created the show. 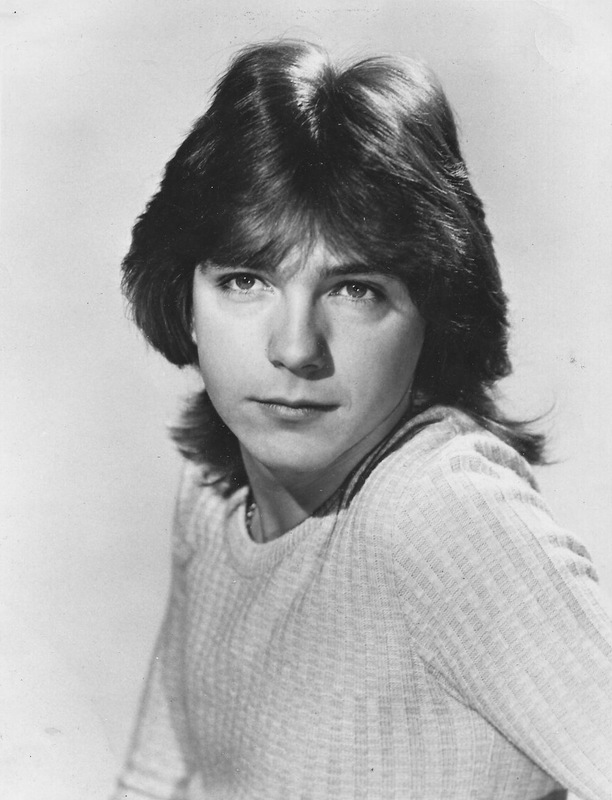 All in all, David Cassidy’s career as an entertainer spanned 44 years, beginning in 1969 when he played “Mike” on an episode of The Survivors. His final screen appearance was in a 2013 episode of CSI: Crime Scene Investigation. In the last few years, he admitted having struggled with achieving his peak fame early in life. Issues with alcoholism particularly plagued him. Police reports list six arrests between 2008-2014 for driving under the influence. One DUI arrest resulted in jail time. Like so many other young actors thrust into adulthood, financial issues plagued Mr. Cassidy. In 2015, he filed for bankruptcy. His financial status stabilized since the bankruptcy. In many ways, the rest of his life did, as well. In his later years, David Cassidy opened up about his trials, courageously taking ownership of his mistakes. By many accounts, he found a personal peace within during the last couple of years. Like much of Hollywood, Cassidy’s love life wobbled, often due to substance abuse. His first wife was actress Kay Lenz, whom he married on April 3, 1977. That marriage lasted less than five years. His second wife was horse breeder Meryl Tanz. He married her in 1984. Between Ms. Tanz and Sue Shifrin (Cassidy’s third wife), he fathered his daughter Katie while in a relationship with Sherry Benedon. He passed at an early age, but David Cassidy remained forever young in the eyes of those who loved him as a teen. He was one of the faces of that generation. Along with so many of his peers, David’s candle burned brightly, before it burned out. Mr. Cassidy leaves behind three half-brothers, and his daughter. Rest in peace.